Equipped with state-of-the-art 260 W Philips halogen lamp with the life of 3500-4000 hours. The BIWM P12 is the best-in-class pen interactive ultra-short throw projector by BOXLIGHT that fulfills all the interactive requirements of a classroom in your budgeted price. Now, there is no need to go for bulky and expensive interactive flat panels, the BIWM P12 pen interactive projector is an all-in-one solution for your collaborative needs. 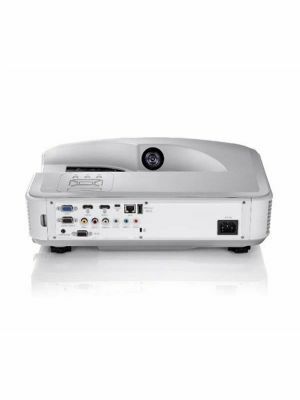 With 4000 lumens brightness and 110” of huge simulated canvas, the BIWM P12 pen interactive projector offers crisp and vivid image quality in outdoor environments. 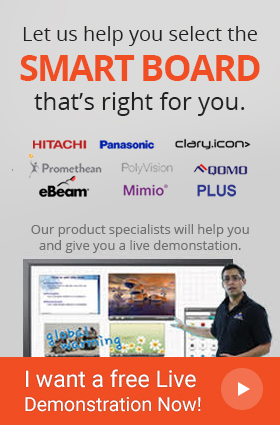 The 10-point touch operation enables optimum collaboration between 10 users at a time. 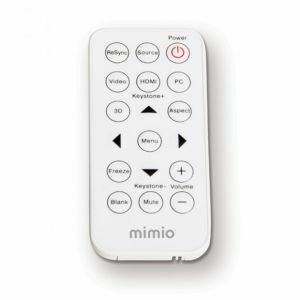 The BIWM P12 pen interactive projector comes with an integrated MimioStudio™ classroom software that features a variety of tools through which teachers can create and deliver interactive content with on-spot assessment, making it very convenient for teachers and students to share and gather knowledge in a new way. The BIWM P12 pen interactive projector comprises a 10-point multi touch sensor that allows 10 students to work together at a time. This feature enhances teamwork and learning capabilities of the students, teachers can use this feature to take quizzes and encourage students to participate in the interactive class activities. All of these actions are possible with the MimioStudio™ classroom software that not only allows writing, drawing and annotating on the display but also facilitates teachers to create and deliver interactive content. MimioMobile™ software can be downloaded on any device that is compatible with the classroom software and provides helpful tools to the students. 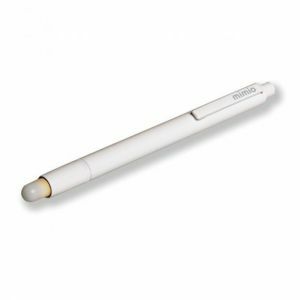 The BIWM P12 pen interactive projector offers 4000 lumens of brightness in order to deliver ultra-bright visuals that can be seen in sunlight. With a huge display size of 110”, everyone in the class remains interested in the content. Even if you are using the BIWM P12 pen interactive projector for any outdoor event or seminar, the quality of your content won’t be decreased instead it will be enriched with vibrant colors and crisp image quality. The BIWM P12 pen interactive projector is equipped with a 260W Philips halogen lamp that is one of the most durable lamps in the market. 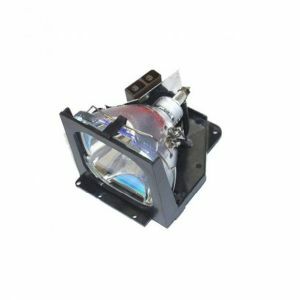 The typical life of a lamp is 3500-4000 hours and once it is expired, users can easily replace the lamp at very low cost and it will deliver the same high quality graphics. Unlike those lamps that do not deliver the same results after getting replaced. Digital Light Processing (DLP), utilizing a 6-segment color wheel. Q. There is a difference between the image size of my BOXLIGHT P12 BIWM projector and my laptop, how do I fix it? Q. 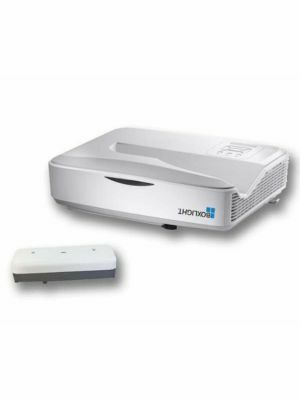 What is the standard warranty turnaround time for the BOXLIGHT P12 BIWM projector? Q. Do I need to replace the bulb of my P12 BIWM projector after some time? Q. What is the Eco Mode and why it is used in the P12 BIWM projector?